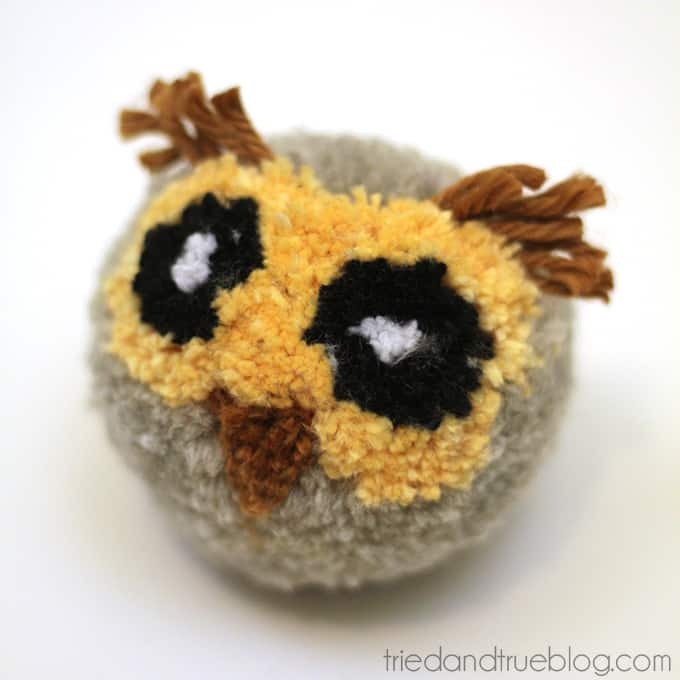 Follow the detailed instructions and pictures to make your own DIY owl pom pom! 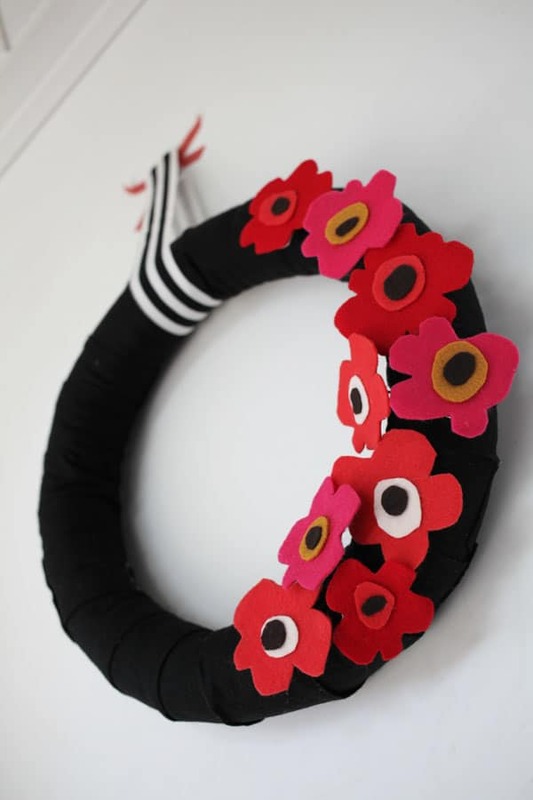 This is a perfect craft to make with kids! 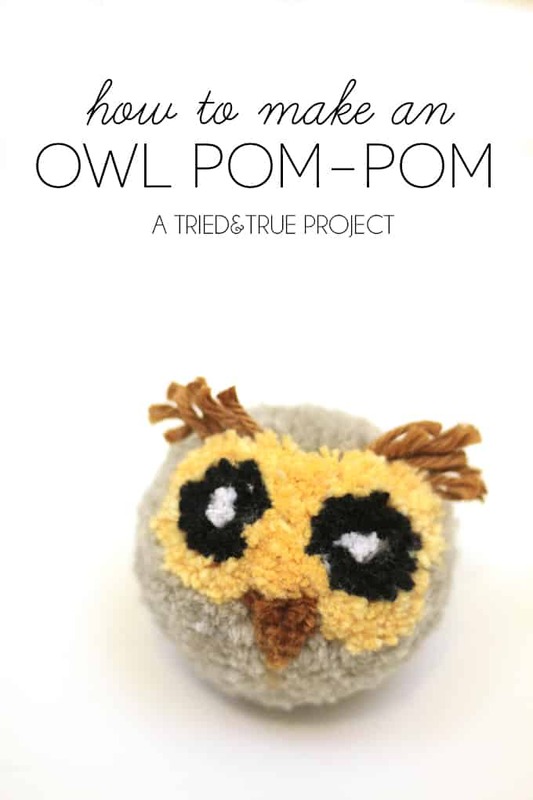 My kids and I have gone a little pom pom crazy and this owl pom-pom is our favorite! Following the pictures below, it’s easy and fun to put together and helps your kids work on those great hand/eye coordination skills. 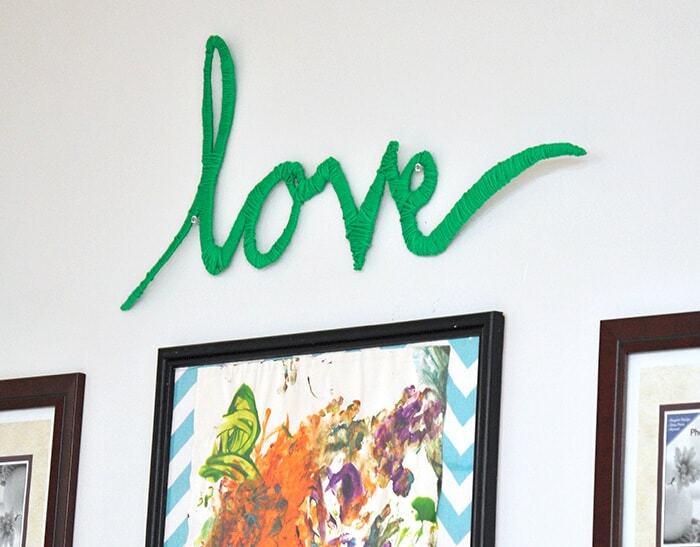 You could even thread a piece of string through the middle and use as an ornament or gift! It takes a little bit of backwards thinking to see how the yarn pieces end up looking like an owl but after you make this one or two times, you’ll totally get it and can eventually make your own patterns. Step 2. Cut along the pom-pom maker groove to remove. Starting to look like an owl, right?! Use sharp scissors to start trimming. Step 3. 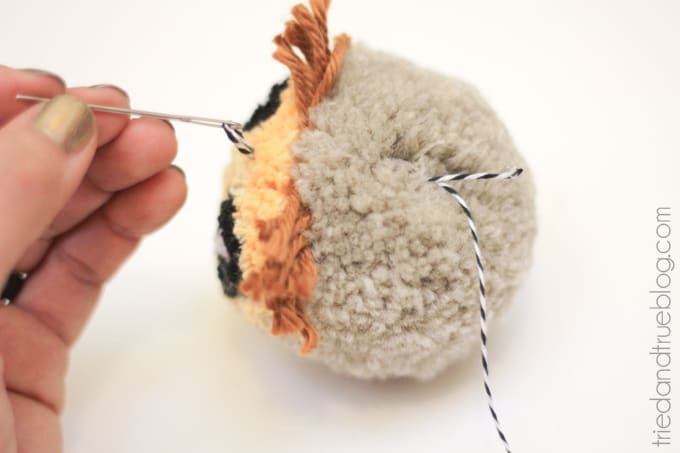 Continue trimming the pom pom until you’re happy with the way it looks. I left the brown yarn on top a bit longer to resemble the eyebrow hair some owls have. 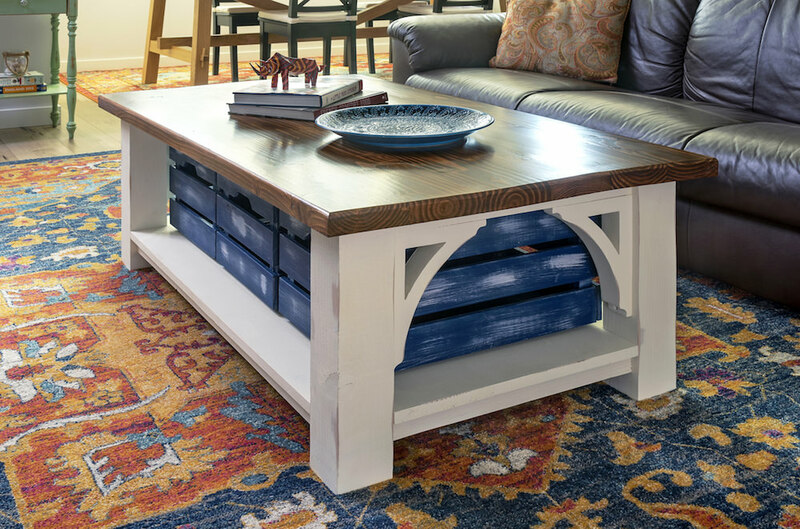 I think it adds some personality to this little guy! Step 4. 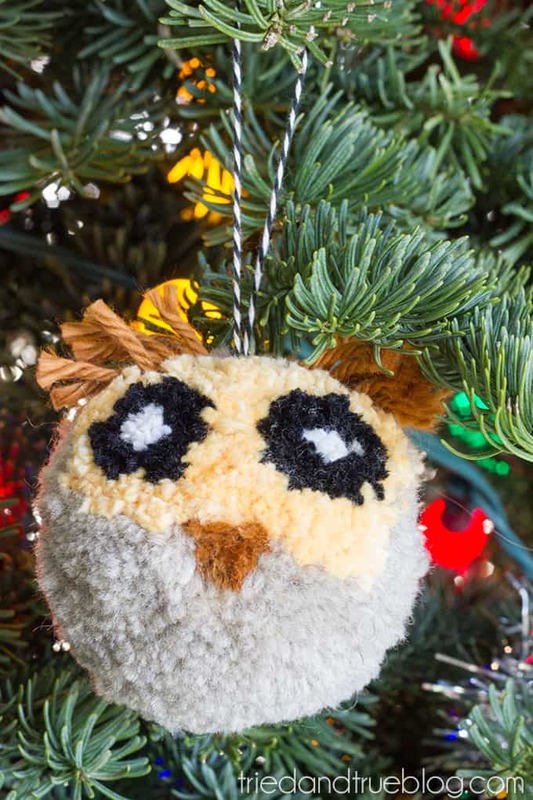 (optional) If you’re planning on turn this Owl Pom Pom into an ornament or gift wrap embellishment, just thread a piece of bakers twine onto a large embroidery needle and insert through the middle (make sure to go through the center thread). 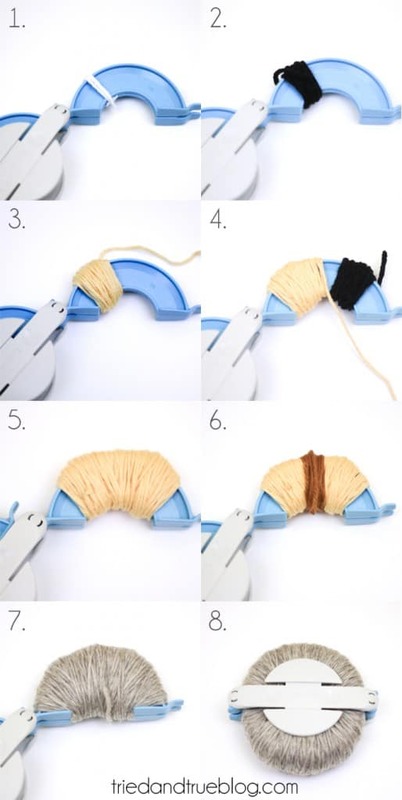 Remove the needle, pull to the top, and tie off with a knot. Cutest ornament ever! 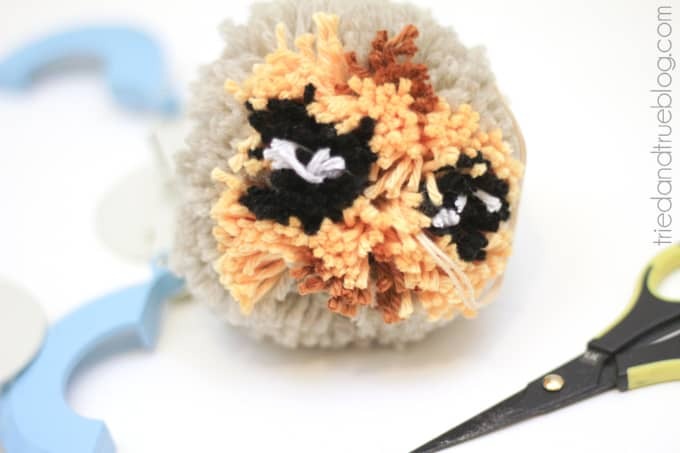 I hope you enjoy making this Owl Pom Pom with your kids. 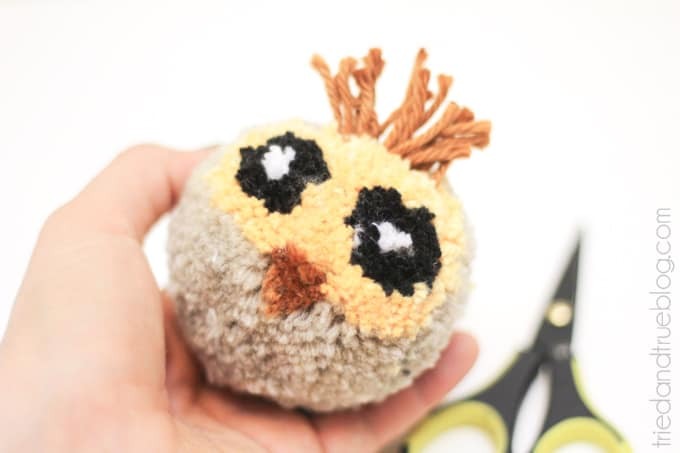 It takes a bit of practice to get everything symmetrical and straight but with a bit of practice and a lot of laughs, you’ll be making tons of little owl buddies before you know it! Stop by Tried & True to check out some of my other holiday crafts, including a Rudolph Gift Card Holder, Holiday Survival Kit, and my personal favorite, the Rudolph Lip Balm Stocking Stuffer!